I can teach music theories to whoever needs it. Eduardo delivers an exceptional lesson experience and ranks in the top 15% of our teachers nationwide. Since my birth, my life was influenced by music and my father's passion to sing. My sense of music started not with understanding of lyrics, but of melodies and rhythms. As matter of fact, the first language I learned was music!! How is this possible?! Well, because of my hearing disability, I did not speak fluently and very well until I was in 9th Grade!! But with God's grace, I understood the language of music first!! At the age of 10 months, I was hit with a deadly disease: Spinal Meningitis. But thank God, I survived. Because of the disease, I became legally deaf (profound-severed) in my left ear and hard-of-hearing (severed) in my right ear. I currently use a hearing-aide device on my right ear. Regardless of my hearing disability, I have the gift of playing music, understanding music, and living musically. I have learned and played music since I was 8 years old. Piano was not the first instrument I learned. I started off with playing drums which is my secondary. I decided to make piano as my primary instrument and loved playing the piano ever since. My parents noticed my gift of music and agreed to take me to private piano lessons weekly. After multiple years of private piano lessons from age of 8 to 14 and taking music classes in High School, at the age of 16, I joined the full band in a local church as the lead keyboardist. Of 19 years - and counting - with experience of performing and playing piano with a band locally and out of towns, I've had the privilege for 2 years as the Director of Worship & Music Ministry at Victory Outreach Sacramento (Spanish). Victory Outreach International granted me an opportunity to perform the instrumental piano background at the 2011 Victory Outreach International/World Conference at the Los Angeles Convention Center, California. In that same year, I enrolled into the full 2 1/2 year program at Life Music Institute (Instituto Vida Musik). The Director of Life Music Institute noticed my passion for music and the desire to create a Deaf Music some day; we became very close friends. He invited me to participate with 70 member choir at a local Sacramento Festival 2012. Saving the best for last, I was honored to lead in front of 3,800 people of the final special song "En Una Sola Voz" (In One Voice) in American Sign Language. Currently, I am excited and honored to be the Worship Leader & Music Director at Elevate Life Church in Sacramento, CA. Not only I play piano and drums, I play guitar as well! I loved acoustic guitar and decided to pick up a guitar and starting learning. Now, the guitar is my third instrument. Besides living and playing music, I teach also! By numerous peers, families, and friends, I've been told that I have the gift of teaching. I love teaching!! I felt compelled to start teaching piano in 2010 at home. Loud n Clear Musik was founded. I've been hired by Southgate Recreation & Park District in Sacramento, CA as a Special Interest Instructor and taught there too. My teaching experience did not start there however. I first started teaching at the Sacramento City Unified School District as the Teacher Assistant from 2001 to 2004 at Sacramento High School and J F Kennedy High School. It was an unforgettable experience teaching the Deaf, Hard of Hearing, Hearing, and disabled students. I returned to the Sacramento City Unified School District as an Instructional Assistant I & II in the Deaf/Hard of Hearing Special Education Program and worked there making a difference from 2012 to 2016. While seeking a way to further serve the Deaf Community at a greater scale, I received a surprise message from the Chief Executive Officer (CEO) from a high reputation non-profit organization called Norcal Services for the Deaf and Hard of Hearing. She has heard about me and watched me volunteered and witnessed my ASL poetries in different events. In within 20 hours, I got hired on the interview. I am now serving the greater Northern California as a Deaf, Hard of Hearing & Deaf-Blind Client Advocate. In Fall 2016, I helped launch ASL Community Classes for the community with NorCal. NorCal has me lead the ASL Community Classes for over a year now and I’ve taught over 100 students. It is still counting!! I've taught and teach students who are therapists, audiologists, government officials, teachers, educators, college and university alumni, families and members, elders, late deafened, dancers and performers, and fellow neighbors to help them better communicate, understand, and connect with the deaf community, Deaf culture, and their peers. I communicate in ASL non-stop with all Deaf, Hard of Hearing, and Deaf-Blind. I can teach ASL effectively, fitting the students and class level with ease, and with lots of fun!! I also communicate (and speak) very well in two other languages: English and Spanish. 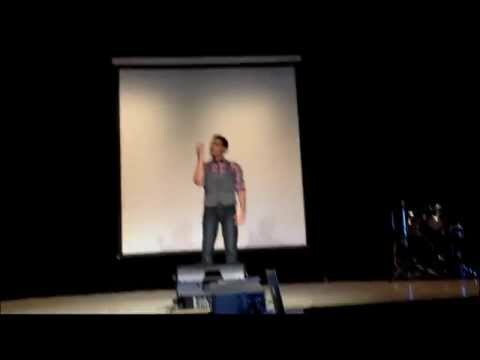 From time to time, I participate, volunteer, or get invited to share my unique gift of performing poetry in ASL and dance. I also volunteer to interpret for any service as needed. 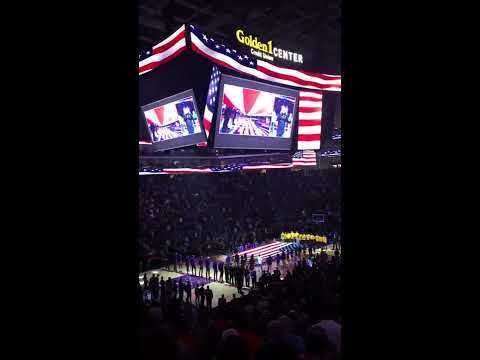 I have performed the National Anthem at the Sacrament Kings game and at the Democrat vs Republican in Sacramento Rivercats stadium. I've taught, communicated, and worked with infants, children, teenagers, adults, and seniors. I have even taught and worked with special needs students, co-workers, and clients who has cerebral palsy. I volunteer my time and used my gifts in special and social events to share and inspire students, friends, families, and peers. Many times, I always encourage others to witness, support, and participate as well, especially at Deaf Camp Grizzly. 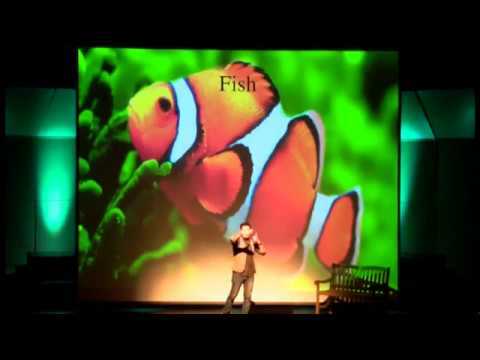 I'm often asked to perform in different events. I believe that music is not our life. Our life is music. You ARE a music. I'm looking forward to help you have a musical life!! My approach is play music or sign first, then read and write music or understand ASL structure along the way. Just like an infant would speak first, then read and write later. It is more effective and smarter. Lessons are for all ages and are started off with songs based on their familiarity and strengths. Then progressively, I build on their weaknesses and expand their instrument and performance or sign language skills. The finally, when students are ready, I clearly explain and reveal on the music theory or sign language structure and grammar. There, their ‘whys’ are answered and ‘oohhhh-that-makes-sense’ are uttered. Lessons are progressive and it's not strict on my plan, but on the students' progress. Through patience and encouragement, my students enjoy succeeding learning how to sign American Sign Language or play music on their choice of instrument. During the first lesson, I care about my students and their parents first; I want to be a friend to both of them. At the same time, they'll have a strategical, knowledgeable, and wise teacher. I start off with lots of comfortable questions about my new students, parents, and their interest. I even encourage my students to ask me questions too!! I move on in empowering my students to feel more at ease, confident, and fearless - and to enjoy!! Can a student learn without believing in themselves? Can a student have interest and passion without having fun or with a smile on their face? I encourage those important factors. After noting down key strengths and weakness, their culture and daily environments, goals, examples of lessons, their preference of topics, needs, styles and songs, and creating a song list together, through excellence rapport and communication, I'll get the feeling of the students’ expectations, needs, and what they enjoy. My style of teaching is very interactive and for anyone to learn. I had a 6 year old student who learn her first song, "London Bridge" on her first day. One adult student, who supposedly could never be on tempo, finally achieved this from tempo #50 to tempo #150 in 3 lessons. Other students who can play 'well' now improve their flexibility playing Major Scales with two hands with up-beat rhythms. Others can now fully understand the theory and rules of Major Scales, Minor Scales, Major and Minor Chords, Diminished and Augmented Chords, and fill out the exercise charts without hesitation. Surprisingly, another student now performs comfortably in front of their friends and family just for fun!! For sign language, students are always enjoying in learning to sign and my humors. Plenty of ASL students would be so encouraged and wants to pursue in becoming a professional interpreter or get a degree in Deaf Studies. These are just few examples of techniques, lessons, skills, theories, success, and new endeavors that students experience through my passionate teaching. I love what I'm doing!! Each student learns in different ways. I am flexible and have access to many outside resources to ensure that my students' lessons are effective. My personality is lovely, fun, patience, peaceful, funny, kind, and friendly. From time to time, shy and timid private and group students are now confident and courageous. One very young student came up to me on his second lesson and said, "I really like you, Mr. Eddie!! I always enjoy seeing my student smile and laughing learning how to play music or learning sign language. Strong internet is required. The stronger the internet, the smoother and clearer the lessons will be. A quiet area is required for effective teaching and learning. I specialize in contemporary, alternative, soft pop, pop-rock, R&B and uniquely gifted signing songs in American Sign Language with dance. But I am flexible in different genres. I enjoy all kinds of styles and genres. But more importantly, I study students' preference of genres to teach them basic fundamentals and go from there to more complicated fundamentals and techniques. I focus on teaching the students thoroughly of 3 elements of music: Melody, Harmony, and Rhythms - whichever is easier and more enjoyable for students to start with. Dynamics also are taught as well to add another important dimension to the music. Students do not have to sign songs if they just want to focus on communicating in sign language. Not a problem. To achieve in understanding and performing or signing with all these elements, I highly implement them through visual, reading, writing, listening, and playing or signing. Lessons are hands on, active, thorough, and with common-sense examples and clarifications. Also, I enjoy teaching through many life examples to 'open their eyes' to the music language. I make sure that all their 'whys' are answered in a timely manner. If you have any questions or concerns, please do not hesitate to contact me. Looking forward to meet you!! I get called to give workshops for students, families, and the community on ASL and signing songs in ASL at WJU. I also perform here for events hosted by William Jessup University. Lead and teach American Sign Language classes at this non-profit organization. I work with Deaf and Hard of Hearing students in the Sacramento City Unified School District. I communicate in American Sign Language here and speak as well. With our guest, Dr. Bill Vicars, Author of ASL University at www.lifeprint.com and ASL Instructor at Sac State. Sharing and improvising my ASL poetry along with some volunteers at ASL Harvest Festival 2017. Teaching and entertaining the kids at ASL Harvest Festival 2017. Del Oro's High School ASL Idol invited me as a special guest to share the beautiful musical poetry in American Sign Language. Enjoy!! 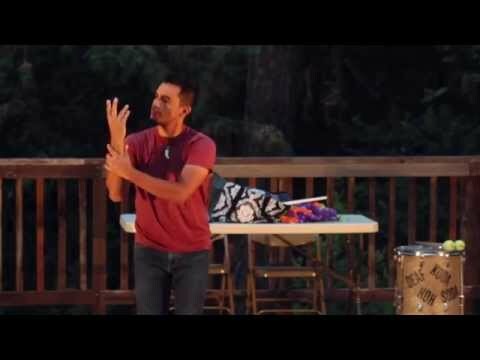 IMAGINATION I wrote and created an original beautiful and pure ASL poetry shared at the camp, CSUN, and CSUS. Imaginations from a book! 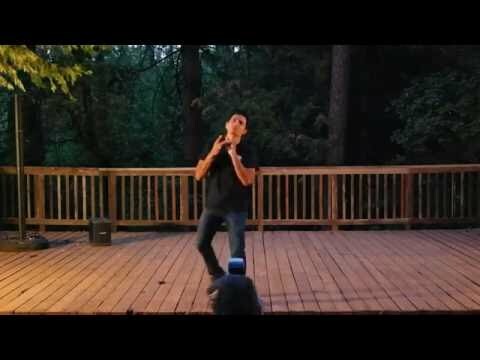 ASL with a little bit of dance of "Speechless" by Israel Houghton & Aaron Adam Ranney. See my friend's, Emily, beautiful dance at 4:15! Nine students (piano, guitar, singing, and American Sign Language) participated and 19 songs or pieces were performed in LnCM Recital 2013!! Six guitar students performed in Recital 2012!! Great job guys!! It was fun!! Eduardo is a fabulous ASL teacher! The lessons are well organized and his way of teaching signs very clear. Plus they are fun! He is getting even better he likes to be encouraging and honest reviews from his students I had a feeling he would be great I just had to get to know him. He'll never intentionally hurt your feelings and I really recommend him. He also teaches Piano and guitar I heard as well as ASL (American sign language). He lives in the Philippines. Ignore my yesterday review. I take group lessons online. I enjoy taking classes with Eduardo! I used to get very nervous if I made a mistake. Now if I make a mistake its corrected and he encourages to make your best guess. Without that I think I wouldn't have built up my confidence in myself. He teaches you the rules of ASL but shows you how to put your personality and emotion into it. You cant go wrong learning with him. All of this from just group lessons. He's an amazing teacher! My 11 year old and I had our first lesson. Eduardo was so kind and taught us so much in a short time! He is terrific. Eduardo is an excellent ASL instructor; helpful, patient, friendly, and fun to work with. As a member of the deaf community he has valuable insights and interesting tidbits of information. He is a wealth of knowledge. He is kind, caring, and always well-prepared, and did I mention patient?? Thank goodness, because sometimes I feel pretty slow. He is very encouraging and helpful. He communicates well, whether through signs, facial expressions, typing, or verbally. Excellent instructor. Eduardo is an amazing instructor. I love being able to gain insights into the deaf community from a deaf instructor. I also love his passion for music. He is very patient and fun to work with. Classes and lessons with him are challenging but fun, and I'm learning so much. Looking forward to more lessons! Hilarious teacher! He can make a joke out of anything. He makes sure learning is fun for anyone trying to learn. I had been wanting to learn sign language and more about the deaf community since seeing an ASL translator at my college in California. Now at a point where I am finishing up my college career, I decided to invest in classes (because why not try something new and interesting!). Online proved the best option and Eduardo was the #1 rated ASL teacher on TakeLessons. I had a few questions and Eduardo immediately reached out to me. He was (and is) both friendly and informative in his communication. His teaching style is more conversational and personalized to the level and learning style of the student. He is patient yet pushes me forward in my learning by integrating sign language into daily parts of my life. For example, I am currently learning how to sign some of my favorite songs! Additionally, Eduardo presents a new challenge regularly for my personal growth in the language. I have been taking weekly lessons for 3 months and am now at the point where he says I can no longer use my voice along with my signs. The process of speaking interferes with the fluidity of signing...I'm really excited to see how my signing improves! If you have the opportunity to invest in learning this beautiful language, I really encourage you to #1) try it and #2) take it with Eduardo. He will teach you so much and make it incredibly fun in the process. I feel like I've learned enough to fill a dictionary after each lesson! Eduardo genuinely cares and is excited to share this piece of his world with you...I couldn't be more thankful and plan to continue lessons with him indefinitely. Eduardo is prepared each time we meet with lessons for me to learn. Wonderful teaching. Mr.Eduardo is a very great piano instructor for my son. Thank you very much, Mr.Eduardo. Great referral for specific requests. Eduardo was fantastic! We are very excited to take more lessons! Eduardo has been an excellent teacher! I am a psychologist who has always had an interest in ASL and Deaf culture. I had taken some ASL lessons prior to beginning my online classes with Eduardo. I was signing around an intermediate level but I still had difficulty with expanding my ASL vocabulary, signing in ASL word order, appropriate use of facial expressions and being comfortable and confident with my signing. Eduardo has helped me in all of these areas. He is a patient and encouraging teacher but also knows how to challenge and help his students achieve their best! Eduardo is also great at individualizing and tailoring the lessons to meet his students' specific needs. For example, I have always want to to improve my signing so that one day I could be a psychologist who works with individuals in the Deaf community. Eduardo has tailored my lessons to help me learn new medical/psychology terminology in ASL. He also teaches me by guiding me through mock mental health/counseling sessions so that I can practice and get a feel for what it may be like to sign and converse with a Deaf patient. My signing has definitely improved with Eduardo's instruction. I highly recommend Eduardo! I really appreciate Eduardo's patience. I'm learning so much about both ASL and Deaf culture. Highly recommend! Eduardo is very patient and a wonderful teacher! He takes his time in ensuring that the students learn sign and feel confident in conversing in american sign language. Highly recommend him!! Eduardo is a very patient and helpful teacher. I've learned so much so far and look forward to improving even more. He puts you at ease doing something that has the potential to cause a lot of frustration or anxiety. Great teacher! Eduardo is a perfect piano teacher! He is patient, clear with instructions and a very good communicater. He helps build Leila Leila's confidents. I are both happy with Eduardo. Eduardo is a very personable teacher, and easy to work with. We even had some connectivity issues, but the experience was completely fantastic despite it. He uses a lot of resources to supplement the lessons, and really challenges me as a student. I highly recommend him as a teacher, and am greatly looking forward to future lessons with him! Eduardo is the very best! My two children love you. They are so motivated to learn because of his teaching method. He also made the children feel at ease right away. Thank you, Eduardo. I have wanted to take ASL tutoring for 10 years now; I am stoked to have finally started! I don't know why it has taken me so long to get started, but I feel beyond lucky to have found Eduardo as my tutor! My first lesson felt welcoming and was well planned. Eduardo taught my lesson at a great pace for me after having done a few assessments. I'm thrilled to have assignments and can't wait to begin practicing! 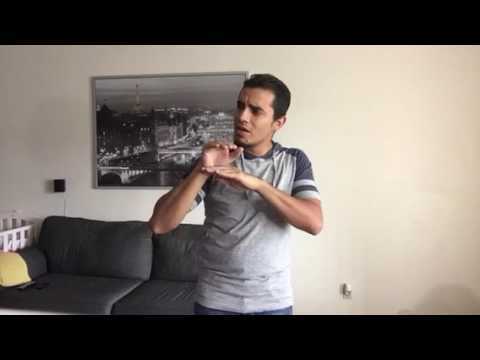 I’ve always dreamed of learning sign language and when I decided to finally start taking classes, I chose to take private lessons with Eduardo Cardenas because I wanted the lessons to be catered to my learning style and rhythm. It was the best decision I could have made. Eduardo knew how to encourage me when I needed it but also to push me when he saw fit. Through his classes, I not only learned beginner ASL but also had the opportunity to experience the deaf culture and practice my ASL with other deaf/hard-of-hearing people. Eduardo is creative in his teaching methods, organized and definitely has a talent for teaching. I would 100% recommend him to anyone who is interested in learning ASL. Eddie is wonderful and so patient. He has a weath of knowledge and can play anything (from jazz, contemporary, rock, blues, and the list goes on)! What I enjoy the most is that he keeps me on my toes when it come to my lessons and practices. What I also like about Eddie is that he is flexible because I have a busy schedule. Eddie is great and he comes highly recommended! I LEARNED. I gained something. Learning from Eddie Cardenas was not just fun but such a great experience. Learning from him was awesome! I was able to not only learn how to play the piano but be able to relate with someone who loves music just as I do. Someone who understands the beauty of it. He was very patient and knew exactly what to do so I could understand EVEN IF I asked a bajillion questions haha! I was able to learn the basics within seconds. I was only interested in learning how to play the piano but after my lessons with that, I wanted to learn more! I wanted to take guitar lessons with him as well. One of the best teachers I know! I don't know if it gets any better than Eddie Cardenas! I needed someone who was willing to teach me how to play guitar. But not just anybody. I wanted someone who was patient, didn't judge, and had the same love for music as I do. Eddie is just that person! And his motto is something that I now go by, "to learn, slower is faster." Definitely returning to get piano lessons too!! Ben said enthusiastically"I liked Eddie ALOT!" I'm so pleased - Ben looks forward to his guitar lessons with you for the rest of the summer. Maddie very much enjoyed her first lesson with you and looks forward to the rest of her lessons this summer! Two years ago, I started taking American Sign Language lessons with Eddie. My sign communication was not smooth and fluent. Eddie took me under his wing and taught me so much. I now sign at church, majoring in American Sign Language in college and just completed my first ASL class with an A from a tough professor. I wouldn't be where I am today if it wasn't for Eddie. He is the best and I highly recommend him!! He is an awesome teacher!! Excellent overall in all aspects! Love my piano lessons with Eddie and look forward to them each week. I feel I'm a challenge but like to think that he won't believe the adage, "You can't teach an old dog new tricks!" My son enjoys the piano lessons by Eduardo. I enjoyed watching my son grow and improve week by week with Eduardo's piano lessons. He is very patient and good on picking up what style of teaching is the best for him. He is very encouraging and positive. Eduardo's knowledge on the piano is great. He also has a great teaching style. Great!. Eddie is an awesome teacher, my 9 yr old son has learned so much that he know plays for some of the songs in our church's choir . Thanks to Eddie's skill and abilities as a kids piano teacher. My son truly enjoys his weekly classes. Thanks Eddie!